The 2017 SDSU-CWM World Music Series presents Javanese Gamelan: Music and Dance of Java, featuring the SDSU Javanese Gamelan. Pak Djoko Walujo, musical director of the ensemble, is an esteemed artist and renowned instructor of Javanese music. 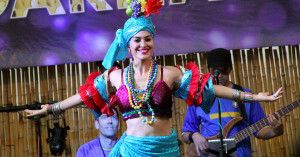 The performance will also feature a Javanese classical dance drama. The 2017 SDSU-CWM World Music Series Zimbeat: Music of Zimbabwe Hypnotic interlocking melodies and spirited African rhythms culminate in the captivating and compelling music that is found in traditional and contemporary Zimbabwe. Admission: $10 college students • $15 seniors (62+), active military, SDSU affiliates • $20 general Free Admission for elementary/middle school/high school students Cosponsored by the SDSU School of Music and Dance and the Center for World Music. Directions: SDSU Parking Map and Instructions. The 2017 SDSU-CWM World Music Series The Pacific Trio of Chinese Music: Music of China Admission: $10 college students • $15 seniors (62+), active military, SDSU affiliates • $20 general Free Admission for elementary/middle school/high school students Cosponsored by the SDSU School of Music and Dance and the Center for World Music. Directions: SDSU Parking Map and Instructions. See the group on YouTube: The Pacific Trio of Chinese Music. Southern California-based Arpana Dance Company has had the honor of performing in the US, Europe, and India. The Summer of 2013 took Arpana to Germany and Croatia for performances and workshops. 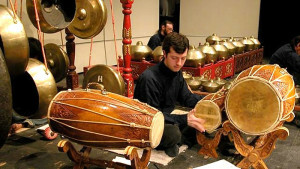 In December 2011, the group traveled to Japan performing with Kinnara Taiko in Hiroshima, Kure, and Nara, raising over $20000 for Tsunami relief. 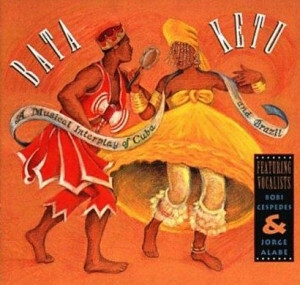 The 2017 SDSU-CWM World Music Series Layo Ni Yoko: Afro-Cuban Music and Dance Admission: $10 college students • $15 seniors (62+), active military, SDSU affiliates • $20 general Free Admission for elementary/middle school/high school students Cosponsored by the SDSU School of Music and Dance and the Center for World Music. Directions: SDSU Parking Map and Instructions. 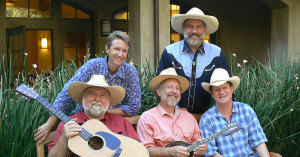 San Diego's finest bluegrass band, Gone Tomorrow plays hard-driving bluegrass music, plus a wide variety of Texas swing, old-time, and early country music. The 2017 SDSU-CWM World Music Series presents The Gallowglass Collective: Music and Dance of Ireland. Named for the Scottish Norse-Gaelic warrior clans that settled in Ireland, The Gallowglass Collective presents Irish traditional music and dance. 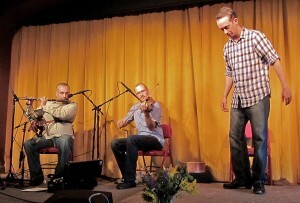 Pete Polansky plays fiddle, mandolin and Irish tenor banjo, Ben Jaber performs on uilleann pipes, wooden flute, and tin whistle, and Michael Prine Jr. performs foot percussion and Irish sean-nós (old style) step dance. 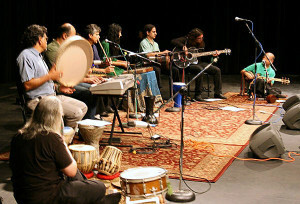 Dornob is a collective of musicians—now spanning two generations—who've been playing Persian music in San Diego since 1985. Their goals, in addition to friendship and fun, include learning the musical tradition, fostering creativity, and crossing cultural bridges. 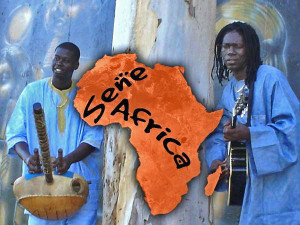 Sene Africa is a duo from Senegal consisting of Amadou Fall (kora) and Ibrahima Ba (guitar). 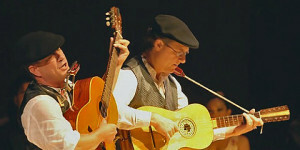 The duo brings you an entertaining performance bound to bring happiness to the heart and soul. Ibrahima’s magical voice and special touch on the guitar, together with Amadou’s strong and positive presence on stage playing the kora, will make this a not-to-be-missed event! The 2016 SDSU-CWM World Music Series The Pacific Trio of Chinese Music: Music of China Admission: $15 general/$12 students (advance purchase or at the door) Cosponsored by the SDSU School of Music and Dance and the Center for World Music. Directions: SDSU Parking Map and Instructions See the group on YouTube: The Pacific Trio of Chinese Music. The 2016 SDSU-CWM World Music Series Sol e Mar: Music of Brazil Sol e Mar is amazing, bright, energetic and beyond entertaining. Their attention to detail and authenticity is a delight. The energy that Sol e Mar brings to an event is unparalleled! Admission: $15 general/$12 students (advance purchase or at the door) More on Sol e Mar. 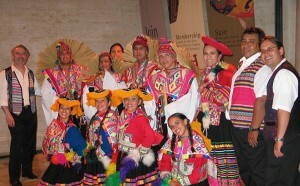 Cosponsored by the SDSU School of Music and Dance and the Center for World Music. Directions: SDSU Parking Map and Instructions. 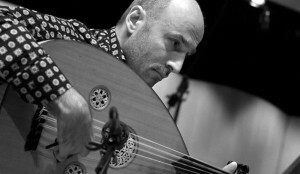 The 2016 SDSU-CWM World Music Series Munir Nurettin Beken: Music of Turkey Admission: $15 general/$12 students (advance purchase or at the door) Cosponsored by the SDSU School of Music and Dance and the Center for World Music. Directions: SDSU Parking Map and Instructions. 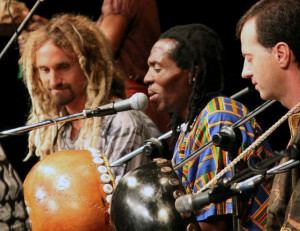 The 2015 SDSU-CWM World Music Series Zimbeat: Music of Zimbabwe Hypnotic interlocking melodies and spirited African rhythms culminate in the captivating and compelling music that is found in traditional and contemporary Zimbabwe. Admission: $15 general/$12 students (advance purchase or at the door) Cosponsored by the SDSU School of Music and Dance, Compassion for African Villages, and the Center for World Music. Financial support is provided by the City of San Diego Commission for Arts and Culture. The 2015 SDSU-CWM World Music Series The Pacific Trio: Music of China Admission: $15 general/$12 students (advance purchase or at the door) Cosponsored by the SDSU School of Music and Dance and the Center for World Music. Financial support is provided by the City of San Diego Commission for Arts and Culture. The 2015 SDSU-CWM World Music Series Layo Ni Yoko: Afro-Cuban Music and Dance Admission: $10 college students • $15 seniors (62+), active military, SDSU affiliates • $20 general Free Admission for elementary/middle school/high school students Cosponsored by the SDSU School of Music and Dance and the Center for World Music. Directions: SDSU Parking Map and Instructions.